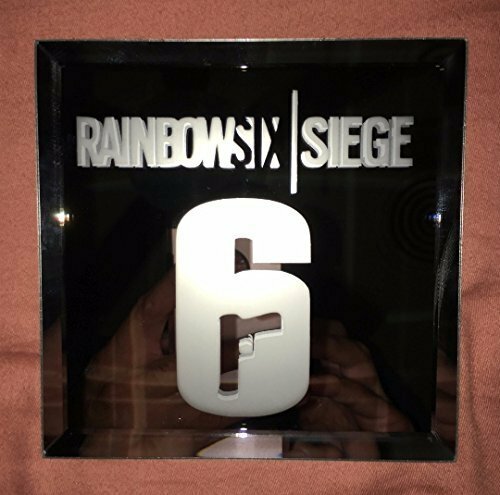 (PLEASE ADVISE PRICE IS FOR ONE MIRROR NOT A SET, MIRROR SIZE IS 5 x 5 INCHES SQUARE) Rainbow 6 Siege Mirror Glass Etching Etched by hand! 5X5 inch square glass mirror. 4 1/4 inch center square where design is at and the glass is finished with a 1/4 inch bevel all around. The glass is Richland Square Mirror. These make the design stick out and look really nice you have to see it in person. Sorry for the not so great pictures it's hard to do, due to the reflections of the mirror. Thanks! If you have any questions about this product by CooltrcDesigns, contact us by completing and submitting the form below. If you are looking for a specif part number, please include it with your message. Counted Cross Stitch Kit. The difference between a beer and your opinion is that I asked for a beer.